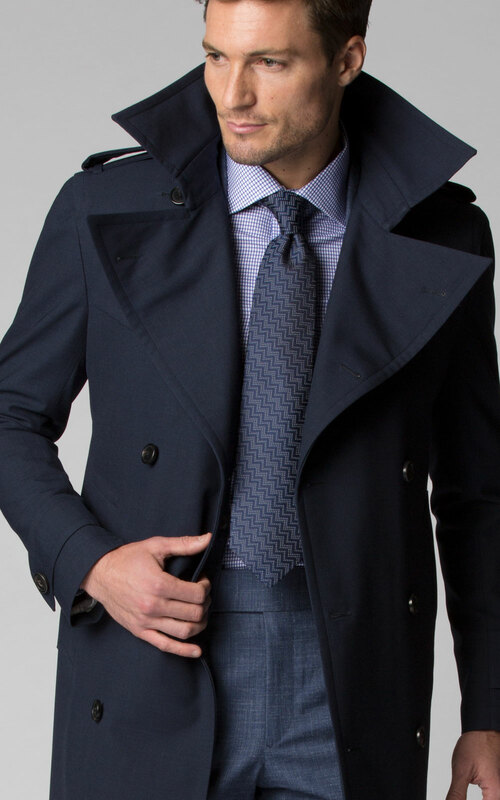 A timeless, versatile version of the classic style. 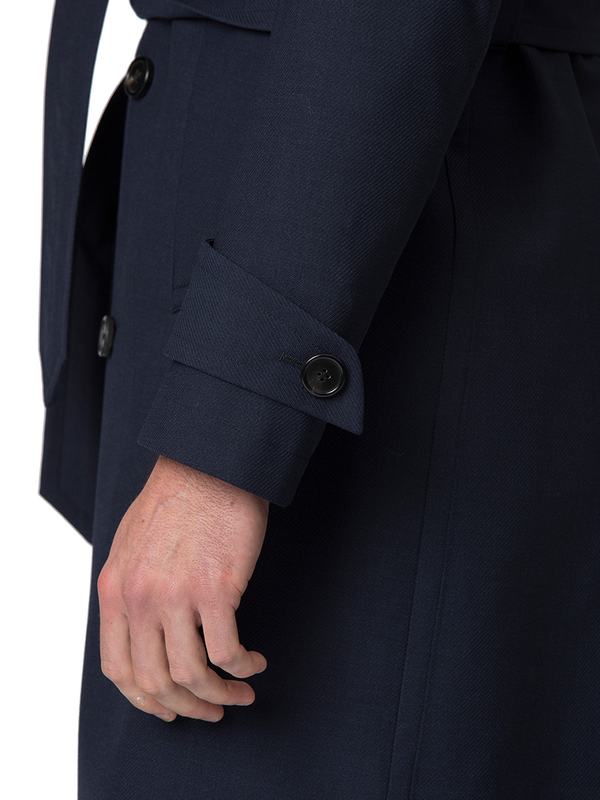 Great for workday and weekends, this navy twill double breasted trench coat features a detachable belt, storm flaps, and sleeve epaulets. 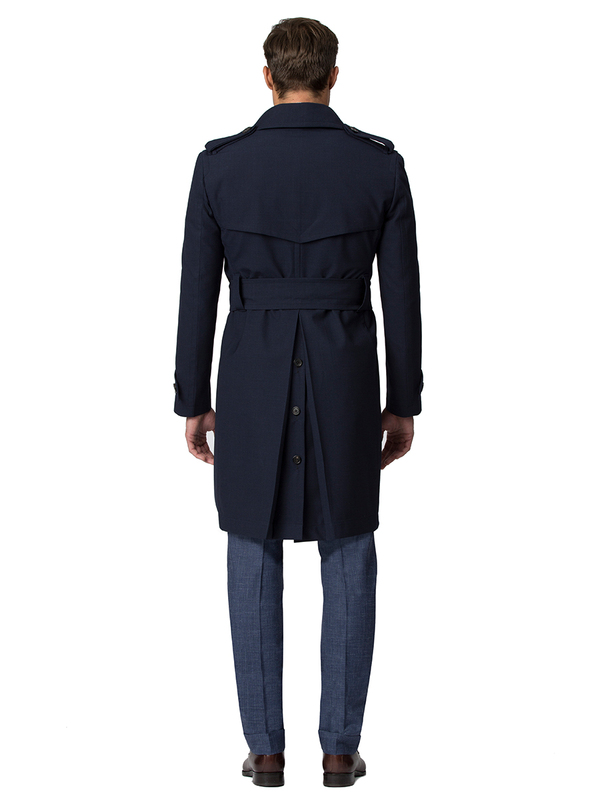 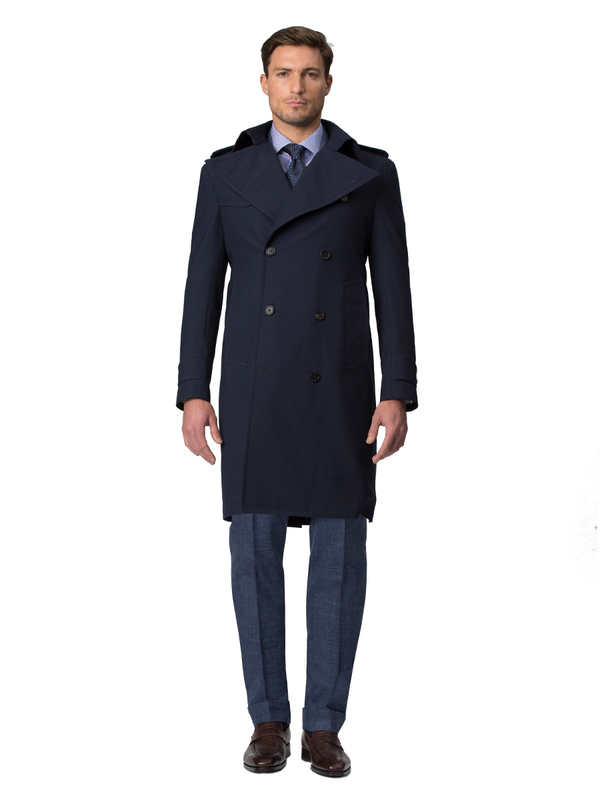 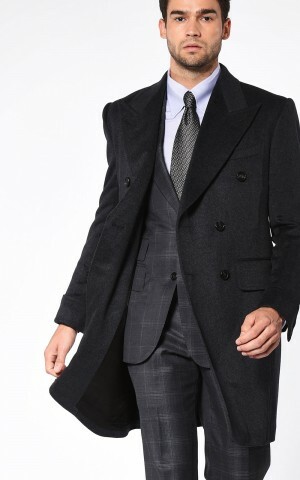 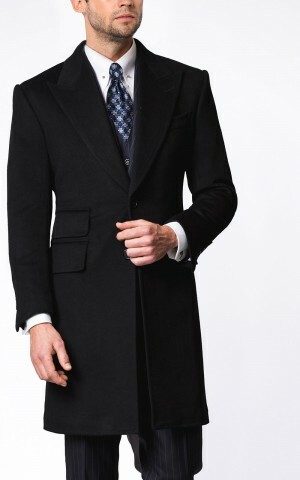 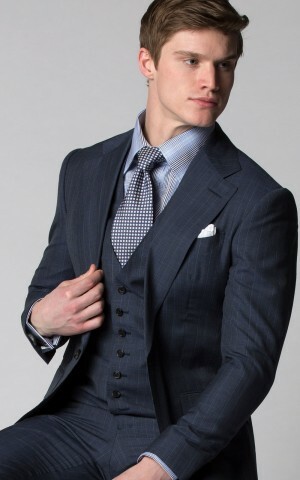 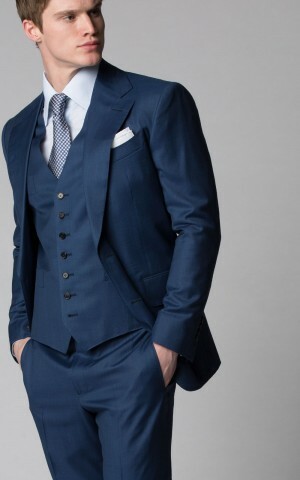 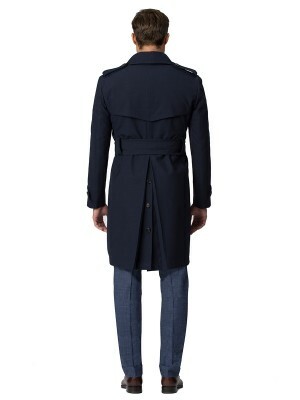 It's made of water-proof storm system wool from Loro Piana.